Good news - it rained! Not enough, but enough for this week. The well drillers were here on Friday - a father and son both named Clarence. When I told the elder Clarence that the well they dug for us ten years ago was still giving us over 65 gallons a minute he nodded his head and laughed and attributed the success of the well to the mysterious workings of his dowsing rod. “The water is there, you just have to know how to find it,” he said, pointing to the dusty ground. “Some people believe in the rod, some don’t,” he added. The younger Clarence, who did most of the talking, identified a site on the top of our back hill as a promising well location. It’s convenient because it is where our son, Nate, might like to build a cabin one day, but, to me, the location is not an intuitive one. Because surface water is found at the bottom of hills, and not the top, it seems logical that subsurface water should be found at the bottom, too. But Clarence explained that while gravity, which is the primary force governing the location of surface water, is also at work under ground, the vast network of cracks and fissures and dams in the bedrock below our feet play a role that cannot be guessed at above ground. “We don’t know if we are standing on a porous substrate that allows water to flow freely downward or if there is impervious rock just a couple of feet below us that has dammed water at higher elevations” he explained. Then Clarence said he’d be back with his dowsing rod once we’ve cleared a way through the hedgerow large enough to accommodate his drilling rig. When he returns, I’ll try very hard to believe in his dowsing rod. BYOB = Bring Your Own Bags! Please remember to bring bags with you when you come to pick up your share. And if you have spare plastic bags at home, bring them along too! We need donations to keep our bag supply topped up for anybody arrives without them. Thank you to all our members who have volunteered these past several weeks for helping to kick off the season on such a high note! We appreciate your time, energy, and hard work, and we could not have done it without you. If you haven't done so already, be sure to sign up for your CSA volunteer hours for the season as spots are filling up quickly! You can sign up using the following link - http://signup.com/go/ovJPPsq. Friendly reminder to all our members to kindly keep the commitments you sign up for on the volunteer site and prevent last minute cancellations to the best of your ability. We have had a few instances of members removing their names from the volunteer schedule on short notice, which can leave us short handed on pick up nights. 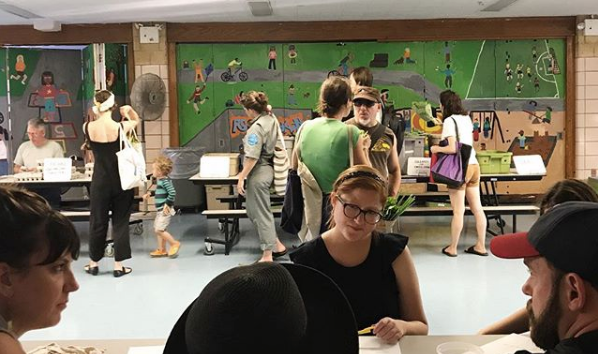 In the event that you can no longer make your shift, we encourage you to utilize the Clinton Hill CSA forum to swap volunteer hours or give other members an opportunity to sign up for your shift. In order to ensure there's enough room on the schedule for those who haven't already signed up for hours, we ask that members sign up through the website to fulfill your hours rather than volunteering without being on the schedule. Thank you all for your continued support! Note: This week we can use 1-2 additional volunteers for the early shift (4-6pm). If you are able to help out, please sign up using the above link. It's that time of year when every meal seems to involve tomatoes! 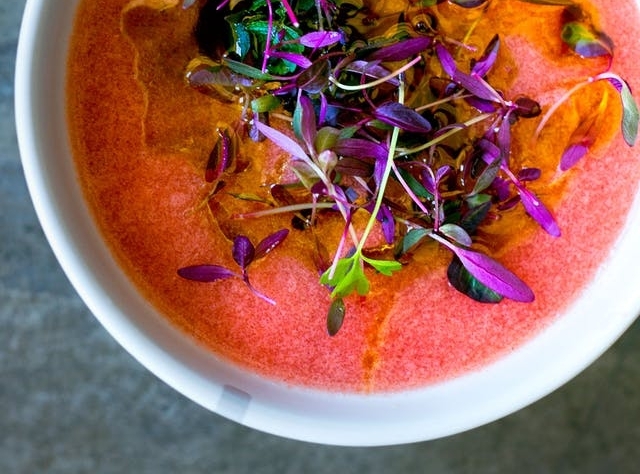 The Kitchn has a fabulous collection of tomato recipes, from toasts to tarts, sauces to salads. Here's a nice cooling one for hot summer nights. Enjoy.